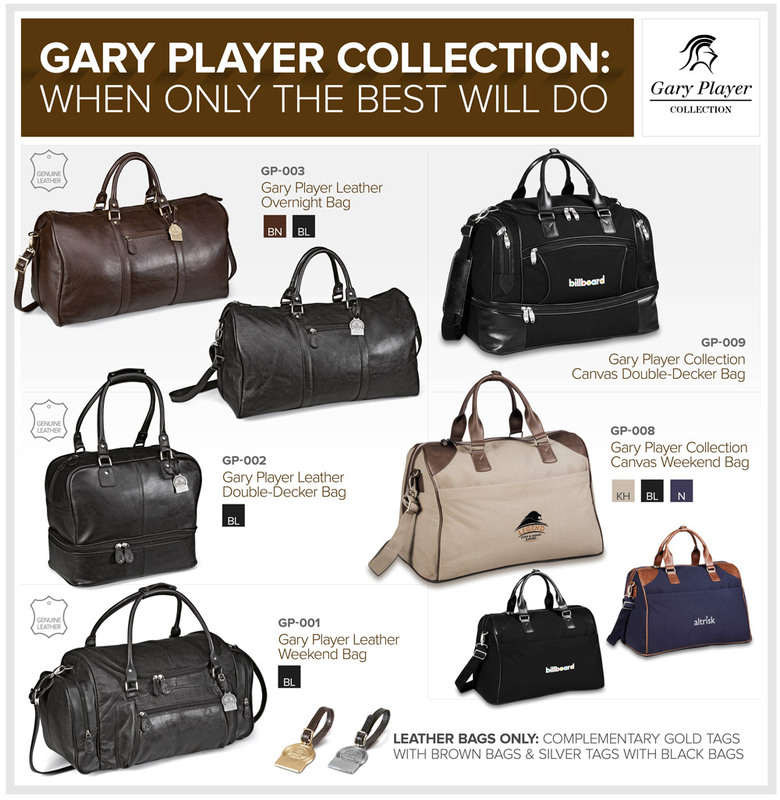 The Gary Player Travel Bag Collection represents a executive style, and top quality design. Provide the perfect end of year gift with this selection of executive Gary Player Collection Leather and Canvas Bags. All of the bags featured above include Black Knight branded zip pullers and Gary Player Collection signature lining. The leather bags include a complementary tag with an embossed Gary Player Collection logo. With consistent high quality and design, these are sure to impress even your most discerning clients. The Alabama Sports Bag is a compact option for traveling sports teams or avid gym goers. This duffel bag has a unique design that puts a modern sp..